Free driving lessons. Well nearly you will still need to pay for the petrol! Free driving lessons. Well nearly free! The “well nearly free” just after the free driving lessons title is important as very little is really free. What we are looking at here is how you can make learning to drive as cheap as possible. Driving lesson prices today are actually relatively reasonable compared to 10-20 years ago. However, as then not everyone has the spare money to spend on professional driving lessons. As a driving instructor myself, I would always suggest the ideal way to learn would be with an experienced DVSA Approved Driving Instructor. However even then gaining extra practice as well as the paid driving lessons can be a real advantage. Our aim here is to show you how you can learn to drive safely on a budget. Whether learning to drive without paid driving lessons or to supplement your driving lessons with a driving instructor with some free driving lessons privately. Private driving practice with family and friends can work really well when done properly! So how can you make sure you are learning correctly and very importantly safely? This really is as close to free driving lessons as you can get. Can you teach someone to drive? Many people think that if they can drive they can also teach someone to drive. The simple answer in most instances is no. If you meet all the legal requirements you can legally try to teach someone to drive, but can you teach them correctly and safely? It is a bit like DIY, you may be ok changing a light switch without too many problems, but can you really re-wire the whole house? Teaching someone to drive correctly is really much more like re-wiring the whole house than many people wishing to accompany a learner initially think. Over my 20 years as a DVSA ADI, I have heard and seen some real horror stories were parents without any additional advice have taken their children out for a driving lesson. These include crashes, cars that were written off and injuries to the learner driver. However, you really can learn to drive with private driving lessons if the person giving these lessons really understands how to do this correctly. What can you do to help you learn how to teach someone to drive? We have used our 20 years experience as DVSA ADI’s too produced two Private Driving Practice Handbooks, one for teaching from scratch and the other for people wanting to supplement paid driving lessons with additional private driving practice. Both are available for you to download to your computer, tablet or phone. These handbooks will guide you through what you need to know to conduct safe, effective and safe private driving practice. So to start your “nearly” free driving lessons, you may still need to pay for the petrol! 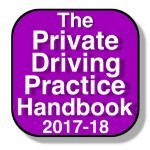 simply click here to find out more and to download your copy of The Private Driving Practice Handbook.